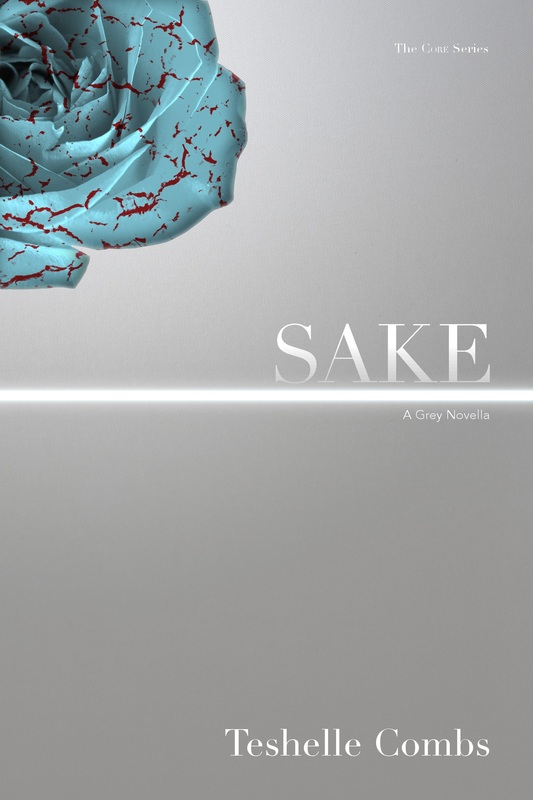 Excerpt From My Latest Release, SAKE. Today, I decided to share with you all an excerpt from my newest work: Book 4 of the Core Series. I’m getting really excited because there’s only one more book to come in the Core Series and I can feel the end forming in my mind. Today, please enjoy a glimpse into the world of Ima, Judge of Pain, as she becomes one of the most heartbreaking villains you’ve ever met. Ima brushed her silver hair herself. Her sprite had gone to do her bidding, and she knew that once she had Sirce out of the way, once the Great War commenced, the phoenix would bargain with her to save her pathetic world and the red dragon who lived in it. “It’s almost time,” she told herself. In a few moments, the ninth turn would end and the tenth would begin. One thousand years. She was alone as she walked over to the mirror that sat on her wardrobe, always covered in a cloth of black velvet. She felt…different than she ever thought she would. It was as though bones that once were made of glass had been encased in stone. The book and the truth it held gave her courage—not to rule the world or sit on the highest throne, but to tear it apart. It’s all wrong. The whole world is all wrong. She sat at the wardrobe and prepared herself, her eyes closed. She knew that once she removed that velvet cloth, she would have to stare at herself—her real self. And she would not be young. Her skin would not be soft and frost-kissed. Her hair would not twist over her shoulders. She would be one thousand years old. She would look how she’d felt inside. Like dying. Like a prisoner to her immortality—all bones and rust and dried blood. Ima left the covered mirror and twisted the key in her lock, opening her heavy door without a moment of hesitation or fear. If it was Sirce, the Accuser would not be able to hold her much longer. If it was Lor, she would curse him for keeping silent when she stood up to Sirce, but she would not kill him. Not yet. The swinging door revealed a tired, worn Papu. He was the same as he always had been, but the light had gone out of his eyes, his skin a dull gray, his shoulders slumped. Ima only stood, unmoving, unmoved. “Ima? Aren’t you glad to see me?” But his hollow eyes said that he was not glad to see her, either. He moved to her, like a ghost over deep waters, and put a cold hand to her back. Her skin prickled, but she did not move as he forced his lips to hers. Ice against ice, they kissed for as long as they could bear it. When Papu finally pulled away, there was no telling smile, no wink. No light. Ima didn’t know what to say. Her heart did not race, her breath did not catch. Papu might as well have been a tree in the sky garden or a root half-buried in the soil. “Ima?” he whispered, his arm still around her, their chests still touching. Click here to read all of SAKE. Click here to sign up for my emails for more sneak peeks. Blog Takeover – The Talented Jamie Ayres!! Boy, do I have a treat for you! My friend, the beautiful funny, talented Jamie Ayres, will be taking over my blog! WHOOO!! Jamie’s YA inspirational paranormal series–My So Called Afterlife–is definitely worth a weekend of binge reading. Without further blabbing from me…here’s JAMIE!! Hello! I’m Jamie Ayres, the YA author of the My So-Called Afterlife trilogy. For all you combo bibliophiles/musicos out there, I’m here to share the actual playlist I listened to while writing the last installment of this series. But first, here’s a little about that book, 18 Thoughts. Olga Gay Worontzoff left the Underworld for her final year of high school anxious for things to return to normal, but fate has other plans. Now the new hottie at school reads her thoughts but nobody else’s. And her best friend wakes up from his coma acting like a completely different person. Caught in a world that’s a mix of familiar and supernatural, she must confront what she will–or won’t–do to bring him back and stare down her own perceived inadequacies to face a couple of tenacious demons, figurative and literal. Everything she thought she knew about reality will change as she walks the line between past and present, fear and faith, love and loyalty. By the end of a heartbreaking year, she might be forced to realize “normal” in the conventional sense of the word is the one thing she may never achieve. *O Children by Nick Cave & The Bad Seeds: I first heard this song in the Harry Potter & the Deathly Hallows movie (Part 1) where Harry makes Hermoine dance with him in an effort to cheer him up. When I was writing this book, I had that movie on in the background one day & it just made me stop writing. It was everything my characters were feeling at the time because in this last installment of the trilogy, they really are forced to grow up. They’ve been lied to by ‘adults’ who were trying to protect them. It’s caused a big hot mess, and their innocence is lost forever, especially Olga and Conner. Makes me tear up just typing that! *Meant To Live by Switchfoot: I came across this band through another movie from a book adaptation: A Walk to Remember. 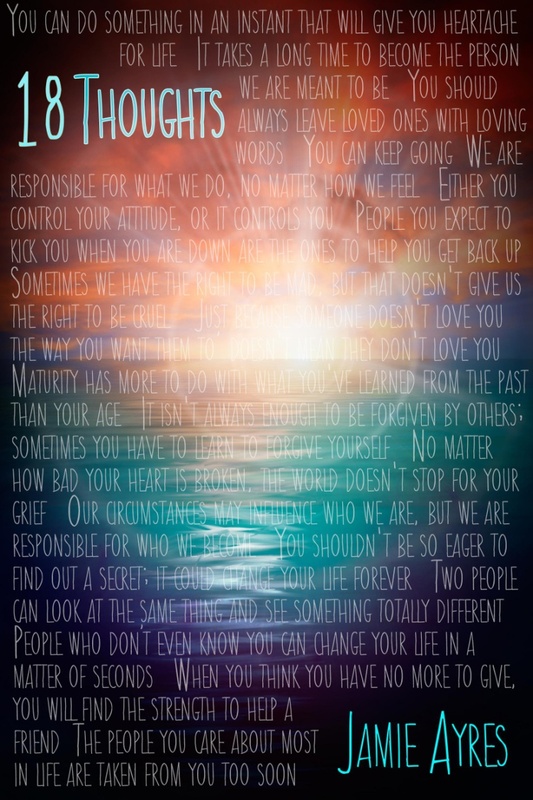 Basically, the message is even though you’re going through crap right now, you are meant for something more, so you’ll come through the storm of life stronger, you just have to hold onto faith. *Cosmic Love by Florence + The Machine: The song makes me want to throw myself on the floor like a toddler in the midst of a temper tantrum. And that’s exactly what Olga and Conner feel like doing throughout an experience they share, but I can’t give too much away! Think bird trapped in a cage with his wings clipped, longing to get out and fly again. *The Lightning Strike by Snow Patrol: Of course, I had to control this song. It’s a lightning strike that started Olga down this road, after all. But I actually picture Nate singing this song to her. This lightning strike brought them together, and he saved her in many ways. But in this book, there’s a huge part of Olga that wants to be able to save herself. She’s tired of being rescued, so she remains closed off to Nate in a lot of ways. To listen to the entire playlist (with 18 songs, of course), click here. Thanks for having me over today, Teshelle! I Need Your Help! – Let’s Get Core In Stores! Hi you beautiful book people! I want your help with something really really cool! I want to get Core in stores! I mean like…anyone could grab a coffee, go to Barnes and Noble, and see my books right there on the shelf! To do this, I need to start an indiegogo campaign. And to do that, I need a cool campaign video to explain to supporters who this crazy author is and why they should jump on board. I thought about what to do and realized I didn’t want some lovely, nerdy, babbly author (me) talking about her own stuff. No, I’d rather have everyone hear from the people who matter…YOU. That’s how this idea was born: Why don’t I have my fans tell people what they think? I want a collection of dozens (maybe hundreds) of videos of my fantastic readers telling people to support this series. You can shoot the video from your phone, like I did, on your couch, outside, at work, in a bookstore…anywhere. At the end, make sure you say, “Let’s get Core in stores!” You don’t have to have a picture of the cover to do it, either. I just need your beautiful face. If you AND a friend have both read it, do the video together. Have fun with it!! Laugh, giggle, mess up, smile!! I want people to know what my fans are like (because let’s face it, you’re the best). You can email the videos to me at teshellecombs@gmail.com. Oh and check out my facebook page for some sweet examples of videos! PS, if you haven’t read the Core Series yet, don’t miss out! Jump on board!! 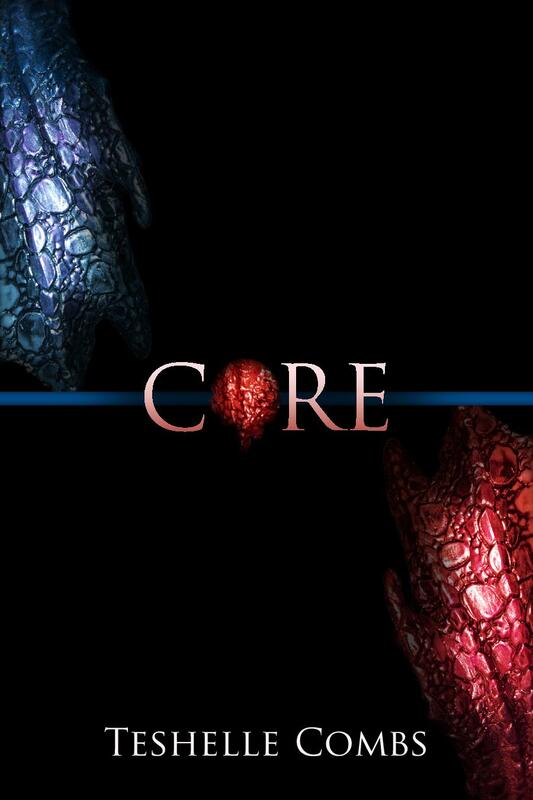 The Core Series. The coolest thing happened a couple days ago! One of my fans, a cool chick named Stephanie, messaged me. First of all, I LOVE when my fans try to contact me, so that in itself made my day! *Waves* HI STEPHANIE!! Okay, so Stephanie messaged me to tell me that she had gone into a bookstore, Books-A0Million to be exact, and mentioned Core to the main manager of the store. And the manager responded by saying that people had recently been coming in and asking for the Core Series and the System Series by Teshelle Combs. I don’t need to tell you that I lost my mind!! I couldn’t believe it! People? Asking for MY BOOKS?! Like…people I don’t know?! I wouldn’t be surprised if that came from my mom, or my nana, or my husband, but a fan?! I don’t know why I was so shocked. My fans are AWESOME and I can’t believe I get to interact with them as often as I do. And apparently, some of them thought I was awesome right back. Oh, the other cool thing? This Books-A-Million is located in Ohio!! I live in Florida (pretty far away, I’d say). So now my crazy brain is imagining BAMs all across the country where fans are going in and demanding they carry my books. *We want CORE We want CORE! * I don’t know if that’s happening or not, but I’ll let myself believe it is. 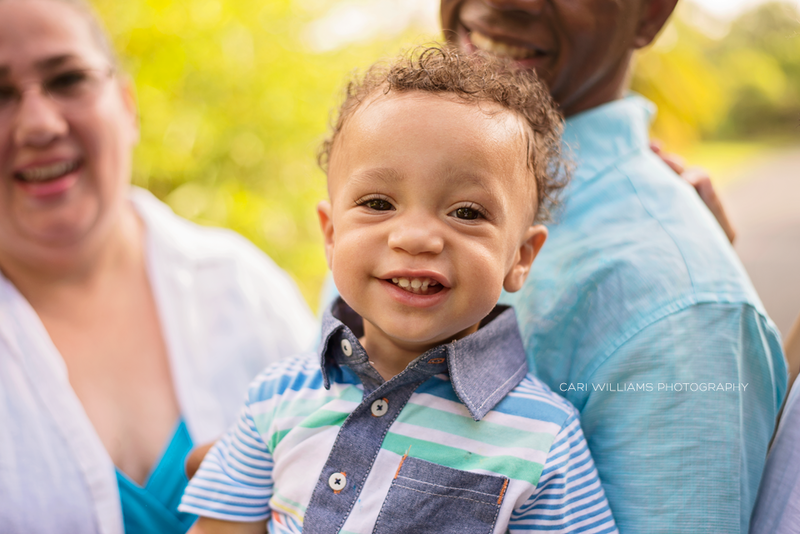 When I read Stephanie’s message, I dropped my phone, ran into Nate’s (my husband) studio and commenced my crazy happy dance–think a lot of thrusting, flailing arms, and very rapid footwork. My crazy happy dance, henceforth referred to as CHD, tends to frighten people, so Nate was not so receptive to my news at first. But now that I’ve calmed down, he’s very excited for me, like he has to be (because he married me, he married my books; package deal). So, thank you to Stephanie for messaging me and making me whip out the CHD! Thank you to my other fans in Ohio asking for my books in stores! Thank you to everyone who’s read my stories and liked them! Thank you to every single reviewer and commenter and liker and follower! You make this whole author thing worth it. You are my adventure! My books aren’t in stores yet, but they will be someday, all thanks to all of you! On select Mondays, I’ll post a random conglomerate of some books out there that you may not have heard of. Feast your eyes on this Super Sunday Book List! Epilogue Audiobooks – We Produce Audiobooks! If you’re an author and you’ve always wondered how to get an audiobook made, or if you’ve looked at costs and thought, “this is impossible,” then we may be able to help. We have talented narrators and producers who would be honored to work with you at a price that most competitors can’t beat. We at Epilogue Audiobooks work hard to make the process painless and enjoyable for our authors. If you’re interested in finding out more, please stop by our Facebook page and our upcoming Author Giveaway Event where we’ll be thanking authors like you for doing what you do. For the next 3 authors, we’re offering 50% off. If you want a quote for your work, please contact us at epilogueaudiobooks@gmail.com. Should Authors Sign Up for Tsu? Yep…there’s another something for us frazzled authors to keep up with. But this one just might stick around! 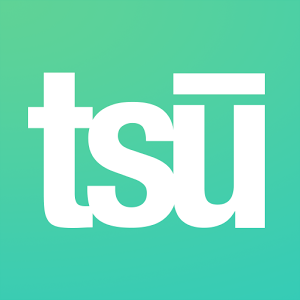 Tsu is a brand new social media site, just launched by some serious experts this past October. And it’s getting a lot of buzz.For those who are technologically simplistic (you like how I worded that? Heh heh…), here are the bare basics of tsu, according to my understanding and investigative prowess. 2. Tsu is great for people who spend their time promoting or branding themselves. So, if you’re an author like me, you may want to consider that invitation above. 3. You can earn money! Actual money! 90% of the revenue tsu generates is given back to its followers. 5. Tsu doesn’t pay much, it seems. You will probably make a little coffee money once in a while if you’re good at it. But it’s the opposite of Facebook in one important way…tsu pays you for using it to display your content. Facebook asks you to pay to promote your content. 6. Tsu is new. So it’s hard to explain to people why they should join. At times I feel like a creepy cult leader…”wanna join?” Hopefully this information helps dilute the weirdness of a new thing. 7. Tsu operates with likes, shares, comments, follows, pics, hashtags, and friend requests, but the networking component (family tree) is way more advanced and a little more complicated than expected. You can pick up on it quickly enough, though, and everything else is easy! In all, tsu is a free service that pays its users for displaying their content. It’s revolutionary and I think it’s rather delightful so far. If I find any snags, I’ll be sure to update you! I’ll post the invite link one more time…and don’t forget to friend and follow me, okay?! In this update, I’ll share what I know about pulling off a banging Facebook event. As you may know, my Big Book Giveaway was a bit of a success, and I’m gearing up for my BBG2 – Book Boyfirned Edition this November. But first, I have to share all my news with you guys! This November 21st, book 3 of the Core Series is coming out. 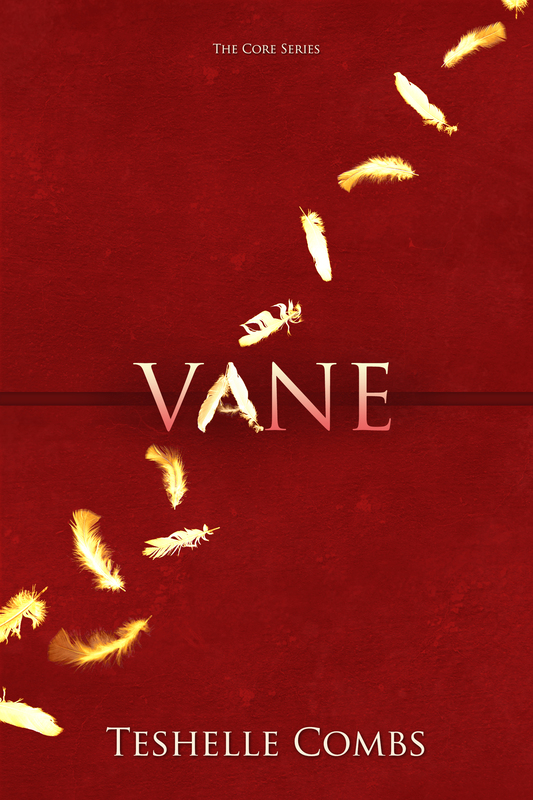 VANE is a full-length novel and it’s the continuation of Cale and Ava’s crazy epic urban dragon story. In other news, I was asked to be a part of Nightshade Reads, a group of YA/NA authors who’s putting out an anthology early next year. So I’ll have an exclusive story in it for you guys (#NSR)! And all the proceeds go to charity, so I’m excited to launch this puppy. Also, I have a free story I’m putting out episode by episode right here on this blog and on wattpad for all my lovely loves. Check out Ill Fate. Now on to the Facebook Event tips! Don’t just wing it. Events don’t organize themselves. And your fans will be able to tell that everything is well planned out and structured once the fun starts going. For my BBG2, I have three days of stuff going on. I assigned different fun events for each day so it doesn’t just seem like one messy blob of activities. I have a common activity (book blasts) that runs every day at the same time so my fans feel a sense of uniformity. And then varying activities every day so there’s a reason to come back the following day. When I have the days planned, I dig in deeper and plan every hour. I’m a full time author and a full time mom and wife, plus I do a lot of volunteer work, so I can’t take three days off of life to run a successful event. I’m going to insert an adorable picture of my little Jaxter (grandparents in the background) because I’m obsessed with how fun he is. What I do instead is spend the weeks leading up to the event typing out all the posts I think I’ll need. I literally come up with what I want to say every hour of the event. This helps with organization and with timeliness. It erases the chances that there will be empty, boring down time during the BBG2. When the event rolls around, I just have to copy and paste all the posts at the right times. If you’re into the hootsuite app, you can even upload those posts early so it’s all automated. Then you can just pop online and actually spend quality time interacting with the people who were kind enough to stop by. Never take a conversation for granted. When you’re putting on your event, make sure you actually chat with people who are attending. Ask them how they like it so far and what they’re most excited about winning or who they’re most excited about meeting. When the event is over, they probably won’t remember what the plot to your book was or what your cover looked like. In fact they might not even remember details about what you said or how witty your jokes were. But they’ll remember they liked you. And that, my author friends, is gold. I’ve come away from my first BBG with fans and friends I still keep in touch with. It’s wonderful. They’re wonderful. And that alone is worth putting on a great event. Before your event is over, click the Facebook option for making a mirror event. It duplicates the basics and specs of your event so you don’t have to start from scratch on your next big venture. Post the link to this next event before your current event is over so your partiers can sign up for it. If they’re enjoying themselves, they can join the next event with a click of a button. I haven’t tried this yet, but for my BBG2, I’m not giving away any copies of my own books. Maybe that’s crazy, but here’s my reasoning. Instead, I’m having a huge sale (99c for each book) and encouraging fans to get my goods while the sale lasts. Last time, I gave away a whole slew of copies of my books and I think fans held out on buying them to see if they’d win one. It was counterproductive for me, since I was hoping I’d get a little boost in my numbers. So this time around, I’m giving away gift cards and books that other authors donated. I’m telling my fans upfront that I’m not giving away any Combs books during the event. I’ll be sure to let you know how it works out. Again, this is a new idea of mine. When my new book, VANE, is released, I’m going to ask all my fans and event attendees to hold back on buying it until the Book Blast at 7pm. I’ll have one blast every day at the same time. I hope it kindles a bit of excitement so my fans can feel like they are directly responsible for my boost in rank. I’ll let you know if it works! If you’re asking authors to show up and take over the event during certain hours, I’m going to advise you to have a backup plan, just in case something happens and the authors don’t show. For example, I had each author fill out a fun trivia questionnaire. When a few authors couldn’t make it, I still held giveaways in their honor and posted their trivia answers on their behalf. Less panic-inducing for everyone involved. 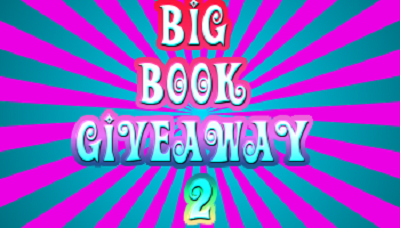 So, if you’re curious or you just want to come support me and have fun, join my Big Book Giveaway 2 event! And pre-order my book, VANE. And buy all my other books. And be my patron and pay me ridiculous amounts to write beautiful genre lit. And buy me a mansion. And make me a sandwich. Or just be my friend and say hi! *If you’re an author and you want to get in on the event, please comment or email me at teshellecombs@gmail.com. In her room that night. Irina and Cia. In bed with the lights out. Cia insisted on cuddling, as she always did, even though it made Irina anxious. She wrapped her arm around her roommate, nuzzled her nose against her shoulder. It was a habit she’d taken up back when Irina first started to keep herself away from Soren. A year later and Cia still had to keep Irina in check. It wasn’t any easier. In fact, it was harder the longer she kept away. Like her soul was wilting. Like she was killing herself. Slowly. On purpose. She remembered hearing that “but” for the first time. It hadn’t always been there. Things change. Threads change. And by the time she found out Soren was her “but,” it was too late. Too late to forget him. Too late to let him go. The day it all changed, her headmaster sat her down and pointed his spectacles at her, his bald head gleaming when he hovered his fingers over the wick of the touchlight. Irina and Soren were two of the brightest students then, and when she’d requested permission for their threads to be crossed so they could plan a life together, the headmaster was pleased. He had said it like that. With those words. Comrade. Fraternize. Become ill.
What he meant was that she could not be with the person she had to love. She couldn’t talk to him or smile with him. Because time they shared and threads they crossed would mean Irina throwing her life away. And then he threaded her life himself. He wasn’t as good as her. He’d spent most of his studies concentrating on how to make looms—an entirely different process that involved spirited metal work and not reading the futures of strangers. But still, he was talented enough to know how to listen to the life that was held in the fragile threads. He weaved her future, connecting dots and fastening it to the loom—the representation of the world where every life resided. And she threaded Soren’s on the same loom, her fingers much more graceful as she took her time to listen well. She could still see the way his face changed as he registered what he saw. From warm and feeling to cold and hard. His jaw clenched, his brown eyes closed to the truth of it as he thought. There was no denying it. It was in the threads. And already his thoughts, which had been so open to her, grew quieter. “And you’re sure it would be my fault?” he asked, his deep voice rough. Irina nodded. She had never been one to lighten the load of the truth. And it always surprised her that Soren liked her for being honest. “So…we have to stop.” And he licked his lips, as if the words themselves were poison. Pulled from her thoughts. Irina wiggled beneath Cia’s arm as the girl left a pool of saliva on her shoulder. Then she sunk back into her memories like a swimmer who’d given up trying to float. She reached out to touch his hand, and she still remembered the sting of him pulling it away. He said it like it was so final. Because Irina was full of potential. And an Ill Fate brought disaster. An Ill Fate created room for death when there should be only life. They unraveled threads, took futures apart and rerouted them, changed destinies. Where a Fate predicted how a life should go, an Ill Fate forced it to change its course. They were criminals. Outlaws. Rebels. And as far as the Cloak of Cathedrals was concerned, they were worth nothing more than the effort it took to hunt them down and kill them. Irina’s thoughts were yanked from her as Cia tugged on their blanket. She rolled over in bed, stretching her cat-like body and curling up in the covers so there was no way Irina would ever wrestle them away from her. She rolled into them until she was invisible and planted her face, nose-first, into her pillow. You can do this, Irina told herself. Just go to sleep. You don’t need Cia to keep you from messing up. You’re a big girl. Just go to sleep. Irina’s bare feet on the stone of the cathedral floor. Her night dress was hardly enough to keep her warm, but she hadn’t thought through her choice in garment. It hung off her in gray so thin anyone who looked might have seen through. She walked the church halls, trying not to let her steps echo, and she touched her hands to the rough walls so she could find her way in the dark. Down the wide hallways, the stained glass was dull and plain, no light shining through to bring them to life. She’d always loved to watch the figures dance and sparkle when the touchlights were on, but she hardly noticed their lifeless shapes as she hurried. She was already breaking a dozen rules by being out past curfew, undressed, unchaperoned in the boys’ wing. But all of that paled against the danger she’d be in if she made it to where she was going. The closer she got to his room, the more she could feel him. The rhythm of her heartbeat altered, speeding up and slowing down so it could match his pace. It made her dizzy, breathless. Still, she moved faster, until, before she could control herself, she was running down the last few halls, abandoning the walls that were showing her the way and following a different sort of guide, a compass that would not let her forget where her true north lied. And before she could get to his room, before she could knock and his door and bury herself in the familiarity of his sheets and the smell of his skin, she ran into someone. They collided so hard that she almost cried out into the dark. Of course it’s me. God, you’re so loud. What are you doing here? You’re supposed to be asleep. You don’t seem asleep to me, Soren. I was headed back to my room. Your room is the other way. You’re such a terrible liar. I am a fantastic liar. You’re throwing me off my game. Admit it. You were coming to see me. Irina took his hands in hers, slid them up his arms. The iron work had made him stronger, his muscles firmer than the last time they were together. They could never make it long without at least talking. But this…this was reckless. Touching him. It felt like she was melting, like her legs couldn’t hold her up. I love you, she wanted to say. I love you and I want you and I love you. What are you thinking? Feels interesting. She shook her head. Shut up. Don’t make fun of me. He put his hand to her cheek, and she couldn’t believe how large they were, his fingertips reaching back into her hair. His palms were rough, proof of the years he’d worked with forming the metal looms. He rubbed his thumb against her cheek. You should go back to bed. His hands lingered. Irina tilted her head so she could kiss his palm, just a moment. It was a mistake. You have to stop, she told herself. She shut her eyes, gripping his hands, tracing his knuckles because he hadn’t pulled away from her yet. Will you walk me to my room, Soren? She swallowed her disappointment and it made her throat sore. She missed him, missed the Soren who could never say no to her, no matter what she asked for. Goon night, then. I love you. Without light, he couldn’t see how wide her eyes opened when the words slipped out. They weren’t supposed to say it. Those were the rules they’d set up for each other, since the headmaster wouldn’t intervene. The rules were supposed to keep her safe. Minimal contact, no kissing, no professions of love. They were acquaintances. Nothing more. Still, she hoped he would slip up too and say it back. Just once so she could know he was hurting too, maybe even as much as she was. But Soren said nothing. So Irina turned around and started the walk back to her room, the back of her neck burning even though she knew there was no way he was looking at her in the dark of the hall. Stupid girl. She knew he wouldn’t break the rules they’d agreed on. She knew. But still… Have you no self-control? She could devote hours and hours of her life to meditation and possibly the most difficult job in Od. She could withstand the pain of threading day after day. But she couldn’t go to bed without talking to him, without him filling up her whole mind. The headmaster should have sent us away. He should have been strict, should have mandated separation. But he thought his two most prudent students could handle their own boundaries. And, of course, sending Irina away meant the cathedral losing her. Their competitors would gain a star in the making. They don’t know how weak I really am. She stood outside of her door, her eyes closed, thinking about how badly she didn’t want to crawl into bed with Cia. He turned her around, and pulled her mouth to his. He breathed into the kiss, his hands on her cheeks again, and his chest pressed against hers. The stone wall was cold against her nearly bare back but she didn’t care. She tugged at his shirt, her own fingers covered in hundreds of slivered scars from pulling threads. He kissed her harder, trailing down to her neck, and then back to her waiting lips. She felt her heart, and his, and knew he’d lost his mind. Neither of them could think. It was as if a levy had broken free and there was nothing they could do, no way they could stop. Cia had to wedge herself between them with her tiny body, and still they wouldn’t let go of each other. So the little Fate stomped on Soren’s foot and slapped Irina’s cheek before she pried them apart with her elbows. Soren sat on the floor, his back against the closed door and his elbows resting on his knees. He rubbed his eyes, as if he was trying to calm himself down. Cia threw her hands in the air in frustration, but Irina smiled and smoothed down her dark hair. I could kind of tell. She laughed, and the whole world felt lighter. You broke the rules. He grinned back at her. I hate the rules. You made them, you idiot. She pulled him up—as much as she could since he was three times her size—and shoved him to the bathroom. She pulled the door tight behind her. He stood up and glanced at himself in the mirror. “I’ll…I’ll go.” Selfish. Loving her was selfish. And she closed the door, so Soren could figure out the right thing to do. When he left the bathroom, Irina was still sitting on the bed, wide eyes staring at him, shadowy in the touchlight. The strap of her night dress slipped from her shoulder, and she adjusted it with a quick hand. Beautiful, he thought. But he wasn’t supposed to say it. Soren wanted to cross the room and lift her chin, tell her something inappropriate, something that would make her smile. She was so serious sitting there, her arms loose in her lap, her back straight. But her braids had unraveled and her hair flowed around her. He’d always liked it like that way best. Untamed. Well, I think…we should be selfish one more time. And she smiled, the kind she used to give all the time. It made her dark hair and her perfect posture make sense—a light in the blackness. He followed behind her and she slapped at him when he bumped into her on purpose. You’ll be the death of me, Soren Hayfer. He stopped, before he hoisted her up, and brushed her hair aside so he could kiss her neck. One more hour won’t kill you. Irina folded her day dress, making sure the plain linen was smooth and without wrinkle as she placed it on the nightstand. She dipped her hands into the rosewater and splashed in on her face, patting her pale, smooth skin dry with her hand towel. She preferred the quiet of her room to the rest of the cavernous cathedral. It was small, no bigger than a closet, but she didn’t have to worry about running into the wrong people. The wrong person. Irina sighed at the words, not because she disliked her roommate, but because she had hoped she could be alone. “Yes, I’m sure I’ll be asked.” She was sure, because she’d seen it in her threads. Her talent was no surprise to her or anyone else who could see decently. Just like she knew Cia would be above average, that she’d land a happy job and meet a happy boy. They’d get married and have happy children. She’d be an old lady when she died in her sleep. Old and…happy. Cia nodded, her chin dimpling as she frowned. “It’s just a rough patch. You’ve been bumping into him more, what with testing going on. But soon all that will be over and you’ll be so far away from each other you won’t even remember his name.” She smiled as she left the bed to brush her hair in the mirror. Her words were supposed to make things better, to ease Irina’s frustration. But it only made her want to tear her own heart apart. She would leave him. She would have to try never to see him again. She would be a good Fate and follow her threads how they were meant to be. Irina lay in bed awake while Cia snored lightly, a little smile on her face even while she slept. She rolled away, facing the other direction at last and Irina found her chance. She kissed Cia’s forehead and hurried out of bed, pausing at the door with her fingers hovering above the handle. Don’t, Irina. Don’t. Just go back to bed. But she could hear him thinking, the far away buzzing of his words in his own mind. The sound of it leaked into her own thoughts, as if they were only a room apart and she could hear him through the wall—muffled, but there. She knew she shouldn’t talk to him. She knew it. Silence. He was thinking of what to do, thinking of her. He knew he shouldn’t answer. It’s late. They were keeping the sentences short, to the point. Even the conversation was a risk. He waited. He knew what she meant. She was trying to do the right thing, to protect herself and her future. It’s what they both wanted. The next morning she sat in the dining hall and swirled her smooth porridge, watching the light reflect off the back of her spoon. She propped her cheek up with her fist, slouching without meaning to. Her classmates filtered in and out, each in their day clothes—plain gray dresses or slacks and shirts. The graduates, very few in number, wore black, their collars low cut and more relaxed. The third years were in gray, the second years in blue, their buttons fastened up to their throats and their hair either shaved or in braids. The first years were in white, and their eyes were open a little too wide, as if they were perpetually lost. One of them slid their tray in next to Irina’s and fumbled with her spoon before she made it all the way to her mouth. She stared at Irina with big blue eyes, her brown cheeks flushed. “Is it okay if I sit here?” she asked, her voice soft and hushed. “You already are, so it must be.” Irina was surprised at how blunt her words came off compared to the first year. But she knew with time, if the girl could survive the program, she’d lose the pretty chime in her speech and it would sound plain and hard and to the point. Irina lost track of the girl’s words. They faded into nothing. He walked in, his shoulder’s straight and his chin down, as if he was thinking. He was always thinking. She could hear him fussing around in his head all the time. He skipped his place in the line when the other students insisted he cut in front of them. He nodded his thanks and grabbed a tree fruit. Somehoe the movement made his muscles stretch beneath his shirt. He paused, said hello to someone. Sat down at the table nearest the door. He had a book in hand, and he put his shoes up on the chair opposite him, flipping through the pages and taking half the apple in one bite. He chewed like that, his head bent and his eyes scanning the lines of text, his jaw clenching and unclenching. What is he reading? Irina could find out so easily if she wanted to. A quick knock on the door of his mind. But she held back. She watched him instead. He glanced up as a friend walked in. He smiled at him. They shared a joke. His grin was bright, especially in contrast with his black day clothes. Black, for a graduate. He’d done well. His tests had been held a year before hers but he hadn’t left the cathedral yet. Surely he had job offers. Surely, there were dozens of private parties who could use his services. But he stayed. Why? She jumped, spilling most of her ice cold porridge onto the table. She wiped it up with her napkin, trying not to look completely insane in front of the first year. What are you doing? We’re not supposed to talk. I had to. You were staring. You were reading. I was curious. He flipped to the cover of his book, still keeping his eyes on it, making sure no one knew they were speaking. Durand. 13th century. It’s boring. You’d love it. She smiled. It felt good to smile. Like her heart was wiggling free, cracking the icicles off and inching closer to the fire. Irina drummed her fingers on the table. There were always rumors about her floating around. She was one of the most admired scholars in all of Op. “Who told you that?” she asked the girl. Irina sat back. Even though she’d kept her voice down, most of the cafeteria was staring, listening. She couldn’t get a word in without people hanging on it, dissecting it, trying to learn her secrets. If Irina so much as sneezed, someone would pick up her tissue and try to extract her talent by sleeping with it beneath their pillow. Anything to have the skill she had. Anything to be her. And they resumed, all a little embarrassed that they’d been so nosy. Irina gathered her things and stood, tossing her braid over her shoulder. And as she left, a dozen scholars scuttled over to see what information she’d left with the timid little first year. Milan blushed and toyed with her food, shooting a grateful glance at Irina’s back as she walked out. That was sweet. She’ll be queen of the first years for sure. You can whisper to me, if you want. Irina stopped in the hallway, her stomach turning over, her chest pulling tight as she breathed. Of course she wanted to. That’s all she wanted. Seriously, Soren. Shut up.